Today President Barack Obama hits the one-year mark of his presidency. This time last year thousands of Americans flocked to the National Mall in Washington, D.C. to watch his inauguration, filled with hope and excitement. But after a year in which the President has confronted numerous challenges at once--the economy, healthcare, unemployment and two wars, to name a few--has that enthusiasm waned? ESSENCE.com asked Washington, D.C. residents how they rank the performance of President Obama's first year, and whether their feelings toward him have changed. We take a look at Obama's progress over the year. See what they had to say. Today President Barack Obama hits the one-year mark of his presidency. This time last year thousands of Americans flocked to the National Mall in Washington, D.C., to watch his inauguration, filled with hope and excitement. But after a year in which the President has confronted numerous challenges at once–the economy, healthcare, unemployment and two wars, to name a few–has that enthusiasm waned? ESSENCE.com asked Washington, D.C. residents how they rank the performance of President Obama’s first year, and whether their feelings toward him have changed. We take a look at Obama’s progress over the year. See what they had to say. 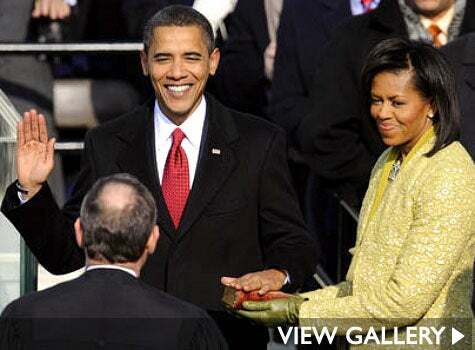 See what people had to say on the anniversary of President Obama’s Inauguration.